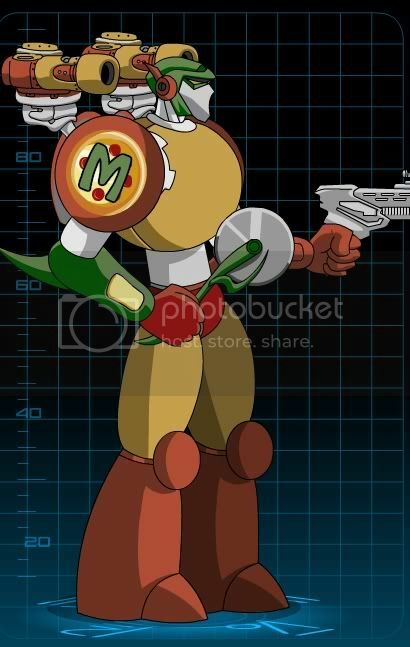 Description: Mecharoni's custom delivery mech. 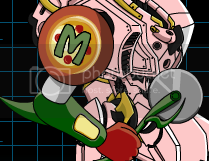 This mech is very cheesy. Description: Low damage and cool firing Laser. Very reliable. Image: Freshman Laser Pointer, Attacking! Thanks to Ghostbear5 and Era for image and Ricobabie for info. Description: A standard head style popular amongst the technorati. +1 to Dodge. It's also the default on Battle Hammer v1.0 and the Mecharoni mechs. Thanks to short dude of doom, Bballman23 and xpocalypse. Thanks to #13 for reformatting and Vaseline28 for original post and info.